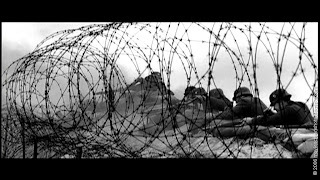 My trusted partner in this haywire venture we call “Scribble Junkies” always extols to me the glories of a feature film called “The Wall”. It was made in 1982 by three great artists, Roger Waters of Pink Floyd, Alan Parker (famed filmmaker) and Gerald Scarfe (great illustrator). 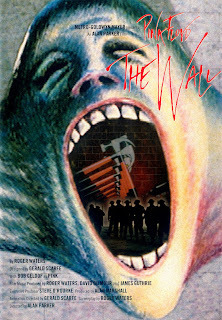 It was a loosely based story of a rock musician that takes a walk on the Nazi side. 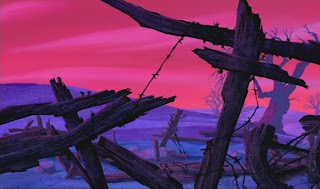 The film is interspliced with animation designed by Mr. Scarfe. Now I'm a big fan of Pink Floyd, in fact “Dark Side of the Moon” is one of my top ten album favorites, so I was very excited to see it fresh. I've seen a few clips on MTV but never the whole film in its entirety. Looking back thirty years later I believe the film doesn't hold up at all. First, the premise of a kid being brutalized by his teachers is a little hard to take when here in the states it's more the other way around. And just because the kid lost his dad in the war he has to turn into another Hitler? Also the visuals are not that appealing or engaging. 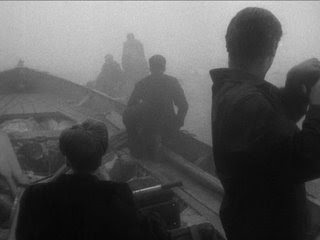 They needed a cameraman with more visual sense- someone like David Lynch or Chris Mengees. Of course Pat's favorite part is the animation and there is one scene that really excited me, it's the romantic flower sequence, which is a tour de force scene, but the rest of the animation is fairly pedestrian. When you think that the Yellow Submarine was done in one year, it's amazing they couldn't come up with better art and ideas for the film. 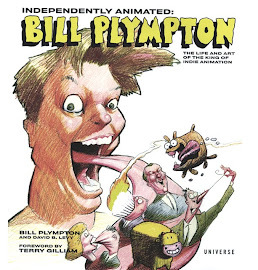 I give it a seven on the Plympton scale of ten. 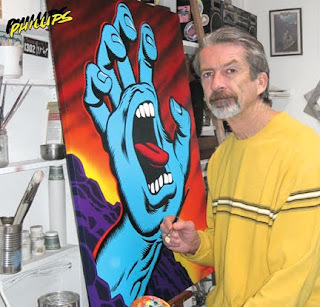 A very strong inspiration of mine is the legendary artist Jim Phillips. I can even go further, he was my FIRST inspiration. His artwork for Santa Cruz Skateboards was my first exposure to graphic art (I was 14 years old), and set me on a similar path. Jim's style was, and still is in many ways, exactly how I wish my work to look. I've always had a dilemma between the look of grotty pencil line, or nicely inked heavy line. Jim represents the later for me, an artist who is a graphic master with black line. 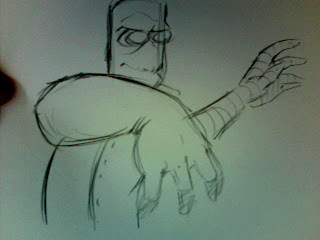 Furthermore, Jim's "Screaming Hand" that he designed for Speed Wheels introduced me into the idea of morphing and abstraction within a well constructed figure or form. I hope that he will inspire and influence some of you as well. Jim Phillips was born in San Jose in 1944, but has lived most of his life in Santa Cruz. Phillips' first published work was in Surfer Quarterly, in 1962. In 1965 he attended California College of Arts, in Oakland. From 1975-1990, Phillips was art director for Santa Cruz Skateboards, for which he has become predominantly known. 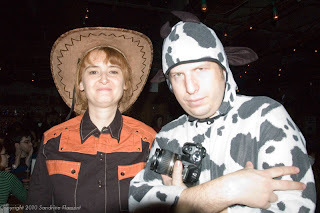 If you’ve been reading my blog recently and I hope you have, you would know that I was in L.A. for the Annies and ran into Yuri Norstein who was also visiting the studios and talking about his work. Unfortunately I wasn’t able to hear him speak but I’ve been to a few of his shows before. He screened some of his classics “The Hedgehog and the Fog” and “The Tale of Tales” and his work in progress opus “The Overcoat” from gogols famous story. A couple of animation societies around the world have voted “The Tale of Tales” the greatest animated short ever made. Now there’s a kiss of death if there ever is one. I’d hate to have this dubious honor because psychologically poor Yuri can never make a film to compete with “The Tale of Tales”. How can he make a film more perfect than “the best film ever made”? Every time he tries to animate a scene it’s got to be perfect. If there’s one little imperfection he must start over again. 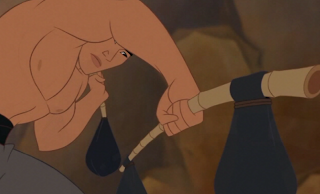 It’s the same artistic crisis that crippled Richard Willams on the “Thief and the Cobbler”. I heard he redrew some shots four times. I believe that hubris is one of the worst evils in the film business. Once you start believing when people say that you’re a genius and everything you make has to be perfect- you’re done! Your career is over! I know my work has flaws. In fact I embrace the flaws. To me the flaws and imperfections are beautiful. They make the film human. It’s made by a human who is not perfect. Someone who’s struggling to make a statement and tell a story. So next time someone says you’re a genius or you’re a god get someone to keep whispering in you ear “You’re only human, you’re only human”. There has been a real explosion of Tim Burton mania recently. The head of MOMA (Museum of Modern Art) invited me to a private viewing of the large Tim Burton exhibition on the day it closed to the public. It was necessary because the crowds are so big it’s impossible to really study the art. And what art it is! From his earliest drawings to his most recent work, it’s a wonderful overview of his career. In fact there are some similarities between his work and mine. I saw early examples of his illustrated stories, his caricatures, gag cartoons and animation. 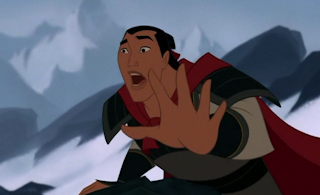 Of course the similarities stop there since he became a superstar and I’m still a struggling independent animator. Some of the highlights are his very early films (very macabre). 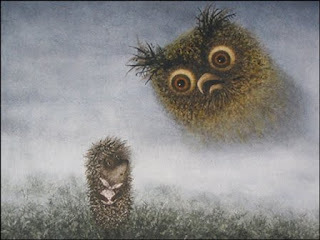 There were sculptures to a lot of his films, “The Nightmare Before Christmas”, “Batman”, “Mars Attacks”, but of particular interest to me were his personal drawings of monsters. 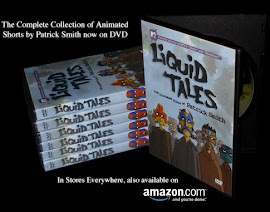 He should really think about doing a drawn animated feature film of monster stories. The designs and artwork is so beautiful. Then to cap off the Tim Burton week some friends of mine (they remain anonymous) got stoned, en masse, and went to see “Alice in Wonderland” but not the 3D version because my posse was afraid of headaches. The film is a total smash hit. 117 millin on the first weekend so I’m surprised to report it wasn’t a total delight I expected. Sure Johnny Depp was great and Helen Carter was terrific but it lacked a real sense of humor and pushed the surrealism to its limits. Take a look at the CGI scenes in Terry Gilliam’s “The Imaginarium of Dr. Paramus”. 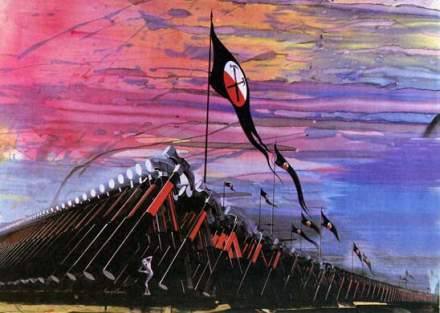 Now that’s imaginative imagery. Maybe I’m jaded because “Avatar” was such a great leap of surreal storytelling and now I expect all films to take me on a magical trip. But the trip to “wonderland” wasn’t so magical. Tune into later blogs because I want to do an in-depth discussion (rant) about “Avatar.” Thanks for your eyeballs my dear readers. Ok- so I just saw the Oscars and I have some comments. 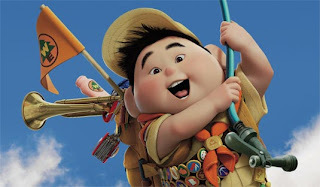 Hurray for "Up"! It's a charming film, great human and heart! 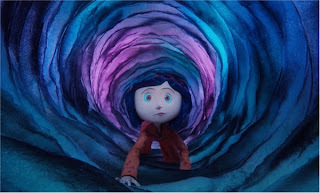 Although I was rooting for "Coraline." 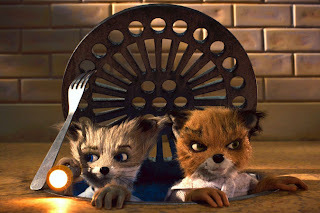 At least the "Fantastic Mr. Fox" film didn't win. As an academy member I got to watch all the shorts and docs and one of best film was "Music by Prudence," the documentary about a hugely deformed girl from Zimbabwe who is the leader of a band – the music is so wonderful and her spirit so positive it broke my heart. I'm so glad the film won. 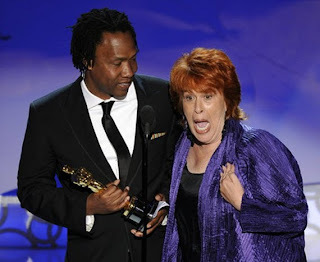 But if you saw the Oscar telecast you remember this black guy who took the stage to accept his award and some fat lady grabbed the microphone away from him and started blathering away about nothing- she pulled a "Kanye West." Apparently she was the lady who instigated the documentary and now she wastes her 15 minutes of fame- unfortunately, she's probably ruined her career forever- though maybe that's fortunate. 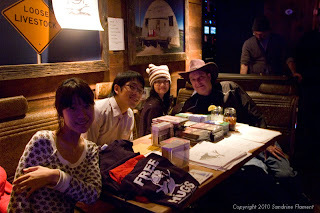 In the short animated film category the Oscar went to "Logorama" a funny take on commercial trademarks. The film is wild and outrageous but it must have cost a fortune yet the digital graphics look very cheap. I was hoping Cordell Barkers' wonderful "Runaway" could be nominated because I felt it was the best film of the year, but no such luck. And the weird thing was the producer took home the Oscar and the directors couldn't even take the stage because of the academy rules. Of course the big story was "Hurt Locker" by Kathryn Bigelow upsetting her ex, James Cameron's hugely successful "Avatar." Now I like "Hurt Locker." 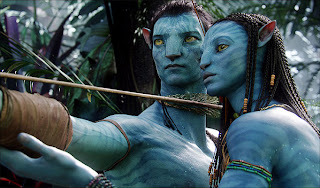 it is a very powerful story with excellent direction and acting- but even though it's a powerful film I believe it will eventually fade into obscurity while 10 years from now "Avatar" will be an even more popular classic. I remember twenty years ago after the surprise success with “Your Face” I thought “How to Kiss” would also be a big success. So I invited about a hundred friends and business associates to my loft for the world premiere of the film and showed it on my small TV. The film and premier were both somewhat successful but for some reason I stopped doing that with my shorts. 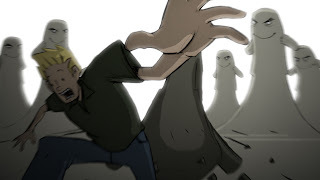 Jump ahead to 2009 when I had my first year of the Bill Plympton School of Animation and as an instructional tool I made a short film so people could follow my work process. 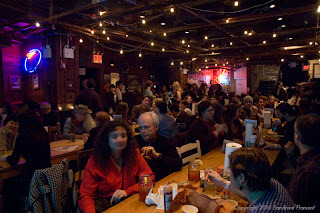 The class and I decided to gather for a drink after one session and went to a BBQ place to imbibe. 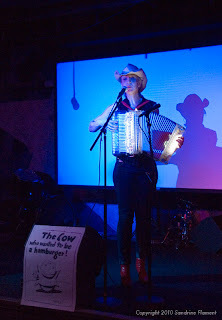 The topic came up that this would be an appropriate venue to show “The Cow Who Wanted to Be a Hamburger” or maybe even have a premier to celebrate the film- Eureka! The world premier event was hatched! That place is a wonderful country western bar called Hill Country BBQ ranch. They serve wonderful brisket, sausage, ribs but alas no burgers. The big event was just last week. 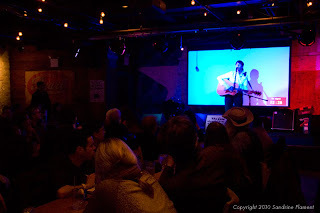 We had over three hundred people (most invited by Facebook). 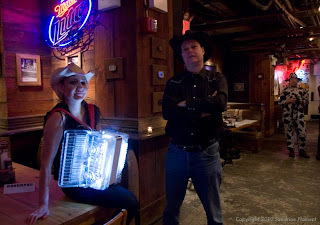 My close friend and collaborator Maureen McElheron played some classic country songs (“Tumbling Tumbleweeds”, etc) and Nicole Renaud brought out her glowing accordion and sang some fantastic French ballads. 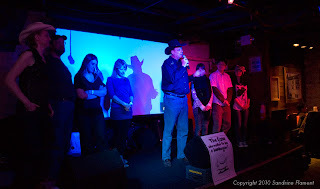 Then I invited the crew that worked on the film onstage- Biljana Labovic, Kerri Allegretta, John Holderried, Sandrine Flament , Celeste Lai, Judy Lee, and Che-Min Hsiao. Other celebrities showed up, cartoonist Mark Alan Stamaty and famed writer Richard Smith and “Ren and Stimpy” artist Bob Camp. The Cow film went over very well with lots of applause but to me the surprise of the evening was that there weren’t a lot of laughs. I guess the film is more of a visual and dramatic piece than a laugh riot. In any case the film is quite popular and is setting the festival circuit on fire. If you get a chance to see the film check it out. I think you’ll like it. Ok let's talk about the best-animated feature Oscar. As an academy member I must see all of the films. However I missed a few of them, "Planet 51", "Astro Boy" and "A Christmas Carol". But I've seen all of the nominated films. I first would like to complain about a couple of films that should have been nominated. "Cloudy With a Chance of Meatballs" is a wonderful creative, imaginative film. Also I thought "Ponyo" by the great Hayao Miyazaki would have gotten nominated but alas it was a tough year. As for the nominated films let's start with "Up", the Pixar blockbuster that is the odds on favorite for the gold statuette. I love all the Pixar films and this one is excellent though not my favorite. 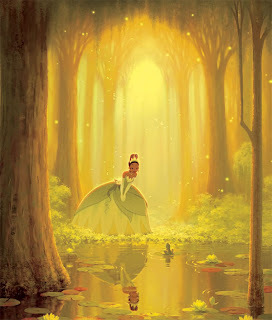 Then there's Disney's "The Princess and the Frog" a retro 2D tale that's filled with charm and great music. Any other year I'd vote for this film because it's traditional animation and also wildly entertaining although the frogs are badly designed. 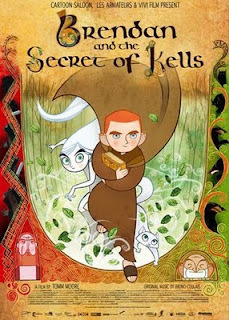 "The Secret of the Kells" by Tom Moore is a real dark horse candidate from Ireland. I met Tom in Zagreb and fell in love with the film. With absolutely no promotional budget it has an extremely slim chance to win the Oscar. But it's a feast for the eyes. 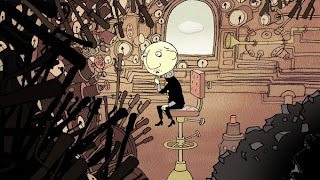 "Coraline" by Henry Selick is another of my favorites. 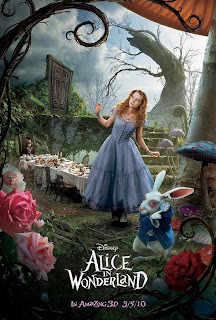 It has a great style, imaginative story, and darker than usual Oscar nomination. But I loved it! And lastly and least is "The Fantastic Mr. Fox" by Wes "The Quirk" Anderson. Not only is the story totally bland but also the style is very dull and anti-visual. I hated the character and background design. How the hell did this film get nominated? I haven't cast my vote yet and I'm not supposed to reveal my vote. But I will say it's down to "The Secret of the Kells" and "Coraline". But I rarely vote for the film that ultimately wins but heh! you never know. Using the Space around the Character, and Foreground! !